But how can you avoid high year-end pricing on hotels? It’s simple. Rent a timeshare! Timeshares are long term commitments and sometimes owners just can’t make it to their favorite vacation spot. That’s perfect for you: a traveler looking for an affordable trip to a swanky destination during peak travel season. A timeshare rental can help you solve all the major holiday travel headaches: vacation rentals are affordable, easy to book and often give you roomier accommodations with more amenities than a traditional hotel. 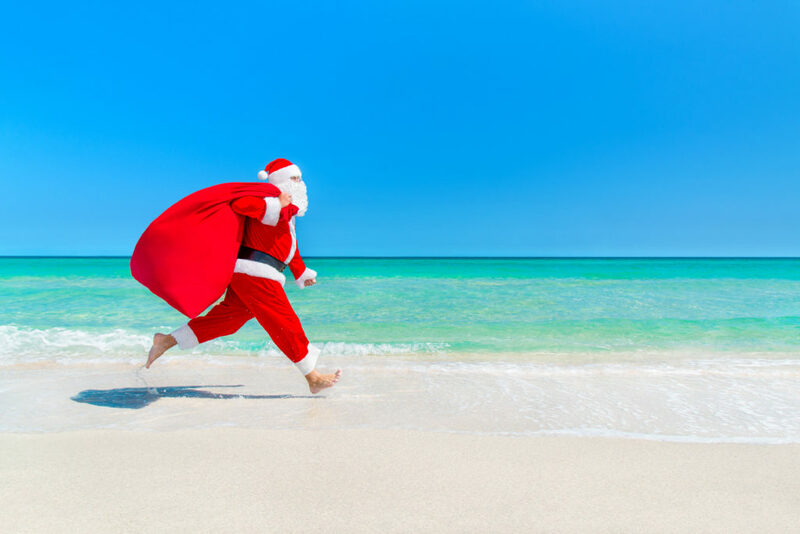 Here are the top reasons to plan a tropical getaway this holiday season and where you can plan your perfect winter getaway. 1. You need a break from the cold. Let’s face it – White Christmas is just another way to say “shovel snow.” Do you really want to get stuck outside clearing driveways when you could be basking under the warm glow of the sun on a tropical, white sand beach? Aruba is an island paradise and the perfect antidote to the wintertime blues. The island is also a big celebrator of Christmas where kids open presents not once, but three times during the Holiday season. Due to the Dutch history of the island, caroling is a popular holiday pastime, making for a fantastic alternative to Christmas back home. And where would you stay? The Divi Dutch Village located in Aruba’s capital city, Oranjestad, is your home away from home in the Dutch Caribbean. This Divi Village vacation rental features two bedrooms and two and a half baths – and best of all, it’s right next to beautiful beaches. 2. Exploring new cultures and traditions is a good thing. The Royal Solaris Cancun offers visitors a fantastic base to explore Mexico’s history and traditions. Shuttles regularly take vacationers from the Zona Hotelera where many of Cancun’s resorts are located to the many cultural attractions found throughout the area of Quintana Roo. Culturally inspired day trips from Cancun include Chichen Itza, a UNESCO recognized archeological site, and the ruins at Tulum, one of the few walled Mayan cities. Cancun’s average high temperature in December is a perfect-for-the-beach 83 degrees. You can even explore history underwater. Several shipwrecks are available for snorkeling near the resort town. The USS Harlequin and Puerto Morelos offer excellent opportunities to explore history in the blue waters surrounding Cancun. Ready to ring in the new year in a tropical paradise? 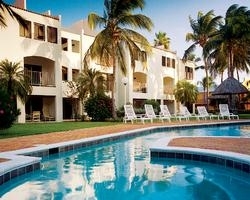 Check out this Royal Solaris Cancun vacation rental. 3. You should spend Christmas at the Happiest Place on Earth. Disney vacations aren’t just for summer vacations. Take the family to the Happiest Place on Earth during the brightest time of the year. 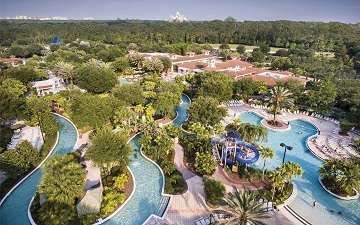 Located just ten minutes from the Walt Disney World resort and theme park complex, Orange Lake Resort, a Holiday Inn Club Property in Kissimmee, Florida, the resort is the perfect place to make your home base as you explore Disney’s holiday delights. Holiday celebrations include Mickey’s Very Merry Christmas Party, an unforgettable event for the younger members of your travel party, the exceptional light show at Epcot’s International Festival of the Holidays, and the Christmas Tree Trail at Disney Springs. With average temperatures in the low- to mid-70s, Orlando is the perfect escape from the icy temperatures farther north. Take a look at an HICV Orange Lake vacation rental and start planning your Disney Holiday getaway today! 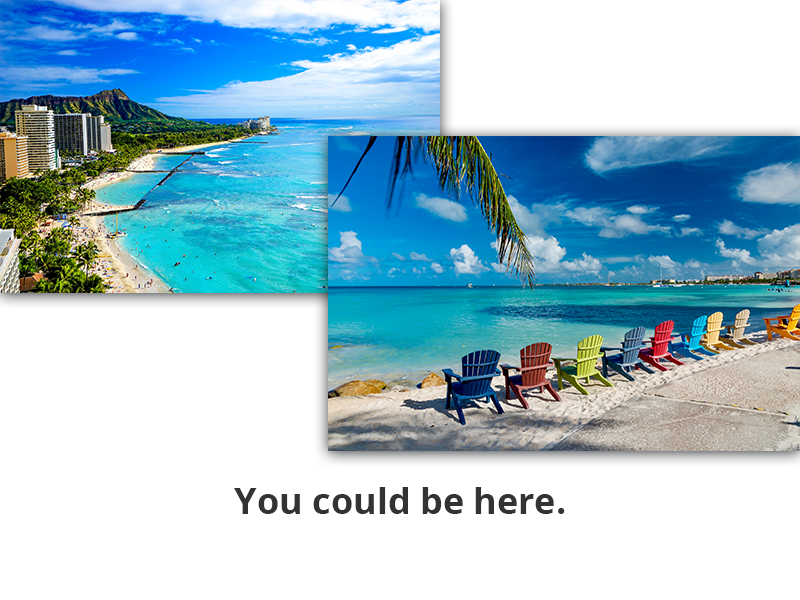 Spend the holidays in Hawaii and you’ll have a reason to talk about all of the wonderful vacation experiences you had. Chances are, you’ll be the only one around who’s been to a Hawaiian Christmas Luau. The Royal Lahaina luau takes place each Christmas Day and includes an all-you-can-eat-buffet and fire dancers. Once you’ve sampled the best of Hawaiian cuisine and dance, set sail aboard a whale watching cruise and see the majestic animals maneuvering gently in the ocean. Then, relax on beautiful beaches of Maui. Excited to spend an unforgettable week in Maui? 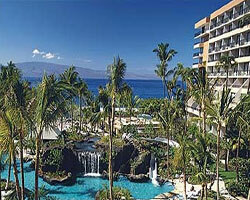 Check out this great Marriott Maui Ocean Club vacation rental. Tropical vacations don’t have to be just for the summer. With a little planning you can find the perfect holiday vacation rental. Let our rental department find the perfect vacation rental for you!